Is your furnace making strange noises? Does it have trouble starting? Does it fail to heat your Flower Mound home, even with your thermostat set to a high temperature? Does it fail to heat your home altogether? If you are experiencing any of these problems with the furnace in your Flower Mound home, Climate Care Air Conditioning & Heating are here to help. No one wants to be without heat on the coldest winter day. The good news is that there is a possibility that your heating repair could be something simple, even something such as a battery in the thermostat or a dirty filter in the registers. No worries, our experts at Climate Care Air Conditioning & Heating are just a phone call away. For your peace of mind we have bulleted some of the common problems, in some cases, easy fixes to your heating problem in Flower Mound, Texas. Broken Thermostat - If your thermostat is broken it will cause irregular temperatures or prevent the furnace from turning on at all. Before making a call for repair, check the batteries or other power sources to see if a simple fix can be used. If a new thermostat is needed, our comfort experts at Climate Care Air Conditioning & Heating can offer suggestions such as the AccuLink™ Platinum 950 Control from American Standard or the Honeywell - VisionPRO Wi-Fi 7-Day Programmable Thermostat. Faulty Limit Switch - A faulty limit switch is usually to blame if the blower runs continuously. If you think this is the case, listen to the blower for awhile to see if it is turning off. Is it not stopping? No worries, Call Climate Care Air conditioning & Heating. Clogged Air Filter - It is very important to keep your furnace air filters clean. A clogged air filter causes restricted airflow, frequent cycling and can also damage the limit switch. No problem, Our safety and efficiency service agreement is a quick and inexpensive solution to that problem. Be sure to check our preventative maintenance page of this site for further details. Ignition Problems - Your furnace not igniting can come from a malfunctioning thermocouple or just a draft that extinguishes the pilot light. Damaged Mechanical Parts - Are you hearing squealing or rattling from your furnace? If so, this is probably a good indicator of a broken or malfunctioning part. No worries, our furnace repair experts are just a phone call away. Keeping you warm during cold Texas winters is our top priority. Call the Professionals at Climate Care Air Conditioning & Heating. We are here to help. Unfortunately, heating systems often fail at the most inconvenient times. If you are experiencing any problems with your Flower Mound furnace, heat pump, or boiler, call the heating repair specialists at Climate Care Air Conditioning & Heating. Our team of licensed technicians are never more than a phone call away. We will have a professional at your door quickly, and have your home warm and cozy in no time. No matter what type of heating issues you are having, our experienced technicians are prepared for the job. 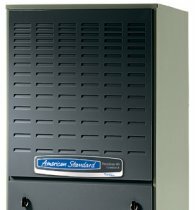 If it turns out that you simply need your furnace serviced and it will be working more efficiently as a result, you will be glad you gave us a call. If you are in Flower Mound, Texas, and you have any questions or would like to schedule a service call, please do not hesitate to call Climate Care Air Conditioning & Heating at 972-353-5257. For your convenience, feel free to request services from this site.